Behind any domain registration, there is a number of reasons, pros, and cons, that have to be considered carefully before you make a final decision and register a certain domain name. Specifically talking about .AI domain, yes, we can name at least 10 main reasons or benefits that can lead you to register. The .AI domain space still has enough free unregistered domain names that can suit your business in a most sensible fashion. Because search engines now use complex algorithms when crawling your website, exact match domains are no longer a must-have, though a keyword in your website address can help your SEO ranking. Additionally, if you do need an exact match domain name for your brand or product there is a very high chance it is still free and unregistered. Few of the most recognized domains such as .com have an exorbitant price for a certain number of 3-4 letter or keyword domain names and they can only be bought or rented at domain name marketplace from a reseller. 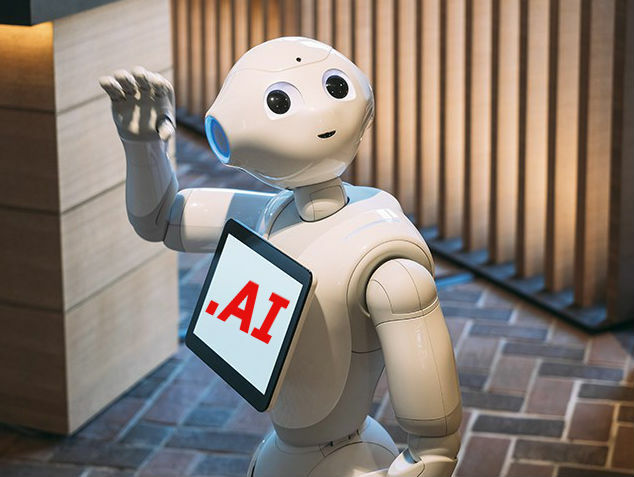 With .AI domain same or much better names can be bought from a reseller for less than $50 or they may be free to be registered for the basic sum of the minimum registration period. The .AI domain has been recognized as the best domain for companies in the artificial intelligence and machine learning industry. More than obvious, the AI stand as short for Artificial Intelligence. Registering a .AI domain for a line of your future intelligent products should be imperative. The .AI domain is the internationalized country code of Anguilla (British overseas territory), and search engines treat it just like any gTLD (.com, .net, .org … etc.) so there is no negative impact on search ranking of a website that is aimed at the global audience. After September 2009 when it was internationalized, registering a .AI domain is very straightforward with any of the registrars, worldwide. The process of registration includes only the time you need to fill out the registration form. The .AI domain does improve over the .com as it is a shorter two-letter domain. Such a domain can improve visitors brand recall. Short, catchy and rememberable domain names are always better. Not completely anonymous, but actually among the popular ccTLD in North America, with many websites in the English language at Silicon Valley. You can be sure visitors will not avoid your website. With so many unregistered domain names, demand is likely to become greater. Registering domain names relevant to your business or products now will keep others from acquiring them later and save you the feeling of being annoyed if you did not. .AI is a secure domain name. Activities illegal to Anguilla, including phishing schemes, viruses, hacking tools are prohibited. Consequently, there are absolutely no such websites on the internet, so internet users can trust the websites that use .AI domain as genuine.